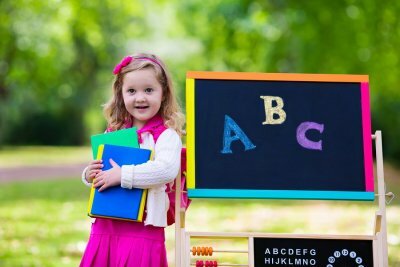 Why Should Your Child Go to Preschool? It can be difficult for parents to be parted from their young children for part of the day, but preschool is your child’s path toward kindergarten readiness. Most children are ready for preschool in Pembroke Pines by about the age of three. Although your child is still quite small, he or she has already been absorbing a wealth of knowledge from everyday experiences. Enrolling your child in a high-quality early childhood education program enables him or her to learn critical skills for future success. Although there are always exceptions, teachers generally find that children who attended preschool are better prepared for kindergarten. One of the reasons for this is the child’s adjustment to the structured setting of school. When your child attends preschool, he or she is already getting accustomed to the routines of getting ready for school, participating in the classroom, and going home at the end of the school day. Preschoolers learn to follow the directions of the teacher, to appropriately gain the attention of the teacher when they need help, and to work on group and individual projects. Time for free play is indeed important, but children do need structure to thrive. The social interactions that take place in the preschool classroom are invaluable. Without being under the watchful eye of their parents, kids need to learn how to cooperate with their peers . Your preschool student will acquire important skills like sharing, taking turns, respecting others, and developing empathy. Preschool classrooms also provide countless opportunities for children to learn about initiating and maintaining conversations. The typical preschool classroom features engaging, hands-on activities that guide children in learning pre-academic skills. While it might look like simple play to an observer, preschool activities set the stage for a child’s acquisition of language, science, and math skills. Your child still has plenty of growing to do and he or she will still be reliant on you for a long time to come. But the preschool age is typically the time when children express an increasing need for independence. Preschoolers need to start doing certain things for themselves and the classroom is the perfect setting for this sort of experimentation.